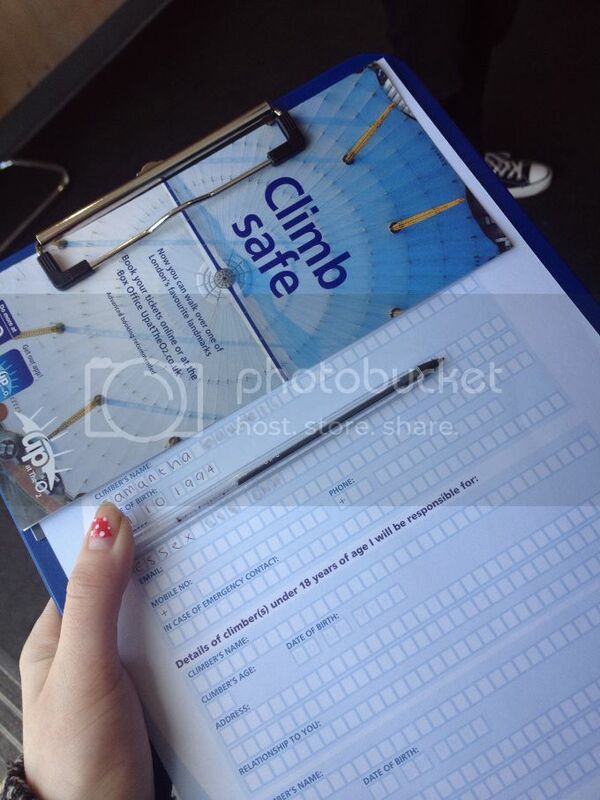 Climbing the o2 | S J M W E L L - Fashion, Beauty & Lifestyle blog. The other week we hopped into London to climb a massive tent, translated; 'The millennium dome / The o2' I wasn't initially going to write a post on it but a few people asked me a few questions about it so thought I'd do a post all about the day for anyone fancying doing it themselves! Mum and I spoke about doing it for ages and she asked if we would all do it as part of her birthday celebrations, without thinking I agreed. In the New Year I made a promise to myself to really take opportunities more often and stop being so bloomin' anxious about failing, doing things out of my comfort zone and being impulsive! Old me would have been bricking it up to the point of the climb, but I was as cool as a cucumber surprisingly. 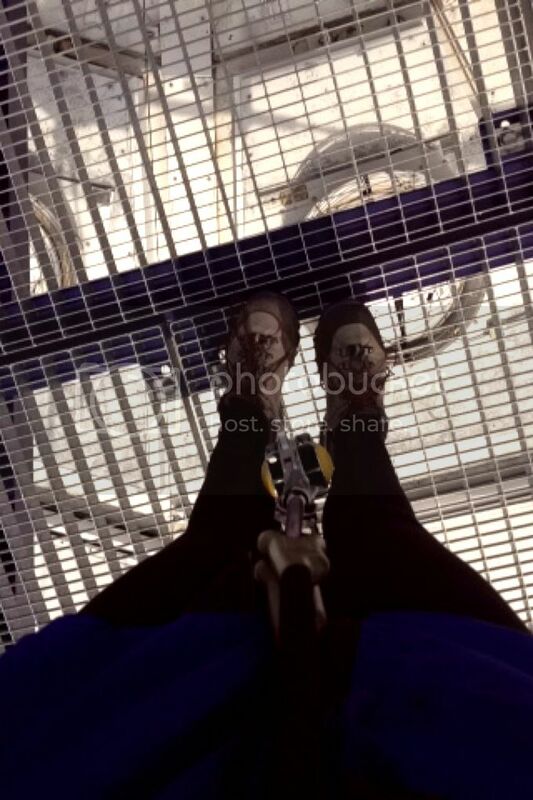 We turned up and filled in the safety forms, watched the safety video in a room (which was rather wacky and futuristically filmed) and then we went into the gear room to pop on our harness, vest, and super cute grip shoes. Please note, the harness will quadruple your bum size, which is actually rather amusing. Depending on the amount of people booked on the time scale as you, you will be within a group. We had around 15 people along with us for the climb. 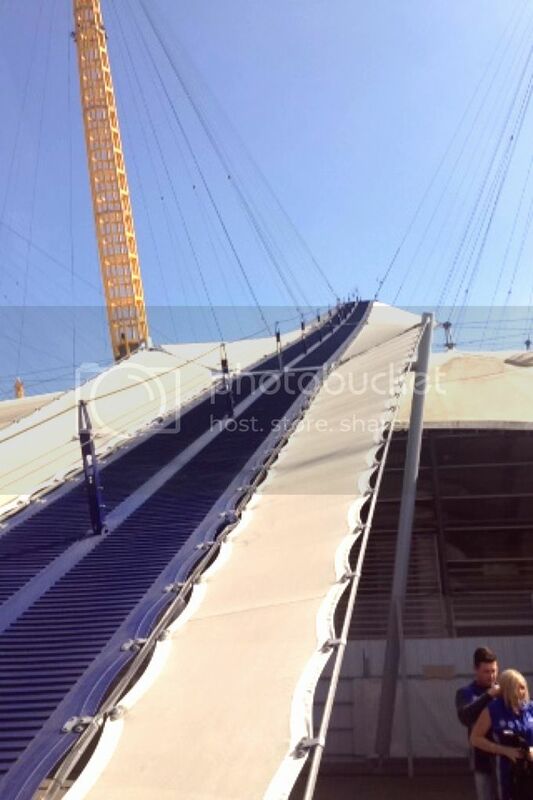 The O2 staff have a photographer who takes a photo before you go up and as you start to climb, which you can buy after. 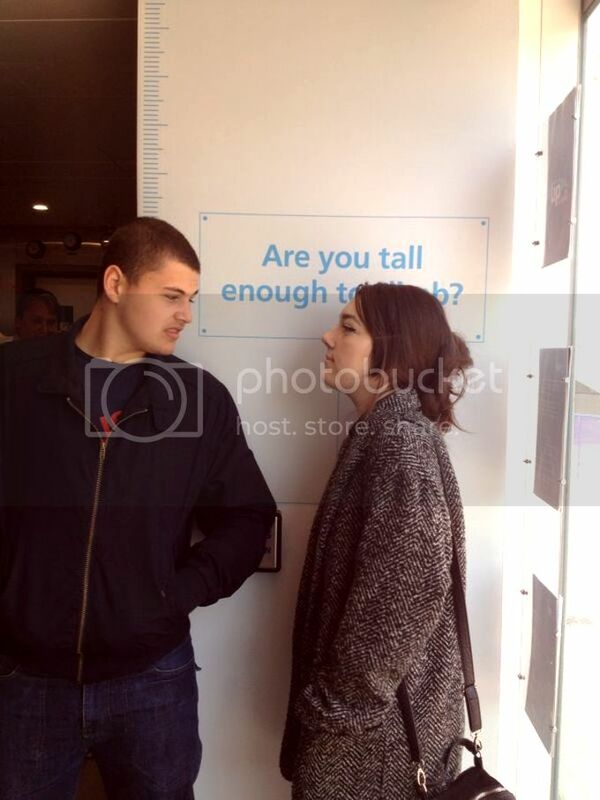 From memory, I think it was 2 photo's for £20. It's really well done, You join a safety line which you slide your 'lock' through, attached to your harness through a lock, holding it down with your right hand so it slides through and holding on for dear life with your left, if you let go it locks and you're not going anywhere! I really was not prepared for the ascent and the sheer steepness of it. My little muscles were crying and I was out of breathe in ten minutes! The flooring was rubber with ridges cut in, along with your shoes you could get a good grip to climb up. It then changes to a material slightly like a trampoline but obviously not as bouncy! It's very odd because you only have the rail on your right and absolutely nothing to your left! Once you reach the top you have a huge circular viewing platform, which was such a cool experience. 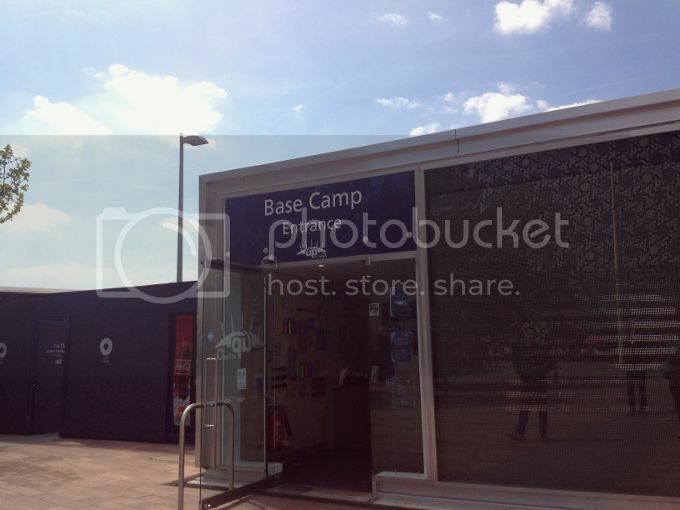 You could take photo's, videos, enjoy and take in the view of Canary Wharf, the emirates across the Thames and surrounding Greenwich. Our team lead climber, (for anyone wondering Shaz) gave us a bit of guide of where everything is and a few facts, taking photos for us. Such a nice guy and the group weren't made to feel rushed to leave the viewing platform, we had a good amount of time up there to enjoy the views and take in London. You obviously have a bit of a time schedule they need to abide to because groups come up before and after eachother constantly. We then took the descent down! You can see the steepness of it here slightly, it's definitely a workout in itself! We had lovely weather and sunshine to enjoy the views of London. It was such an un-usual 'tourist' activity to do but rather cool to do and I'd definitely do it again and recommend it to anyone! I've seen quite a few concerts inside over the years but never thought I would be climbing over it myself! The climb overall takes around 45 minutes and then you get to go and check out the souvenirs and photo's. 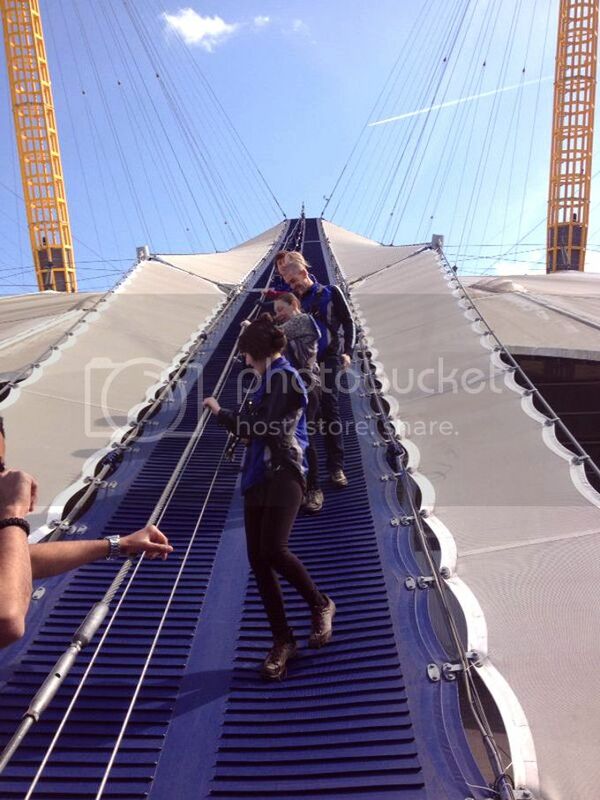 Would you have a go at climbing the O2? anyone else done it themself? This looks incredible but I suspect I'm far too unfit! It looks so fun but kinda terrifying at the same time! I think it is SO great you can do stuff like this now, maybe once I'm well enough I'll have to man up and do the walk too, to celebrate!